In the fourteenth century, a Turkish military leader named Osman defeated other Turkish tribes to become ruler of a small kingdom. A dynasty is a family or group that maintains power for generations. Osman’s dynasty conquered what was left of the old Roman Empire, which historians call the Byzantine Empire. The Turkish Ottoman Empire, whose name derives from Osman, eventually conquered most of the Middle East and North Africa. At its strongest point it also controlled Greece, the Balkan Mountains, and most of southeast Europe. 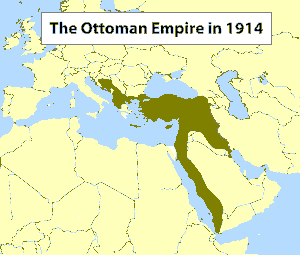 The Ottoman Empire lasted until the early 20th century, a span of almost six hundred years. The Ottoman Turks were Muslims, but they did not impose Islamic law on non-Muslims. The Ottoman Turks generally allowed Christians, Jews, and people of other faiths to practice their beliefs in peace, although the Armenian Massacre of 1915-1917 is a cruel exception. Arabs, Persians, Kurds, Maronites, and Armenians all maintained strong cultural identities within the Ottoman Empire. Two wars in the early twentieth century (the 1900s) resulted in Greece, Crete, Serbia, Romania, and Macedonia leaving the empire. The weakened Ottoman Empire was often compared to a “sick man." European colonial leaders had recently seized most of Africa and were eager to exert their influence in the Middle East. World War I broke out in 1914. Britain, France, the United States, and Russia were united as the Allied forces. They fought the Central Powers of Germany and Austria-Hungary. The Ottoman Turks assumed the Central Powers would win the war. The Turks believed Germany would keep Russia from taking land from their declining empire, so the Ottoman sultans joined the Central Powers. Russia lacked a “warm water port," where they could ship goods in all seasons. All of Russia’s western seaports are in regions that are frozen for at least part of the year. The Russian people revolted in 1917 and Russia withdrew from the war. Even without the Russians, the Allied Powers won. The Allied Powers of World War I were eager to assert their influence in the Middle East and North Africa at the end of the war. They hoped to sell their manufactured goods to the people of the region. They also hoped to exploit the natural resources of the region. Oil had not yet been discovered, but the Middle East and North Africa had many exotic spices. Britain also controlled India at that time, and they hoped to secure a safe route to India and other colonial lands in East Asia. Britain, France, and the United States carved up most of the Ottoman Empire and left only what we now know as the modern nation of Turkey. Mr. Donn has an excellent website that includes a section on the Middle East and North Africa. 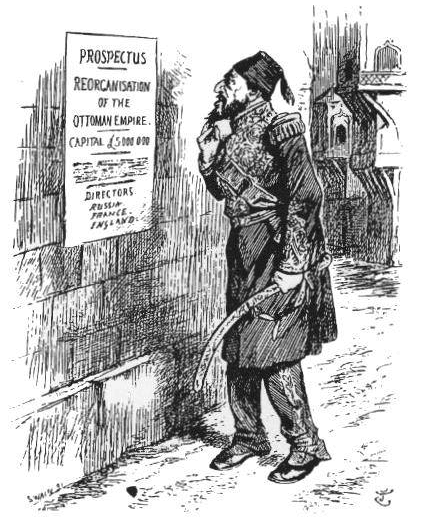 By the twentieth century, many commentators referred to the weakened Ottoman Empire as the “sick man of Europe." 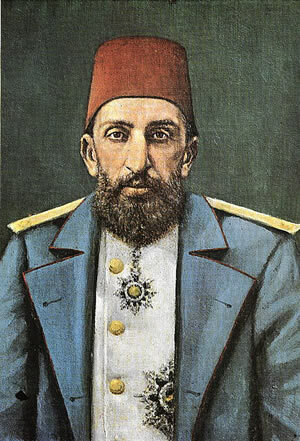 Abdul Hamid II was the 34th Sultan of the Ottoman Empire and the last to have absolute power. He left power after a 1909 military revolt known as the Young Turk Revolution. This entry was posted in Middle East and North Africa. Bookmark the permalink.